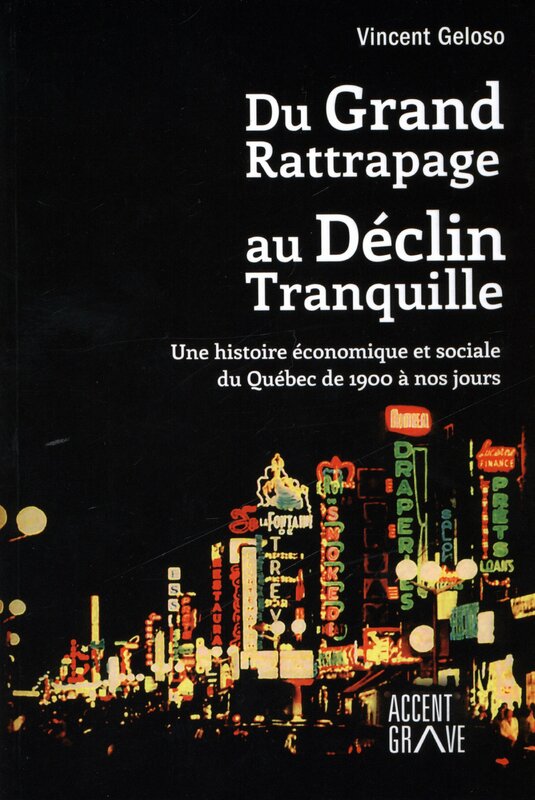 In my post on French economic history last week, I claimed that Robert Allen’s 2001 paper in Explorations in Economic History was one of the ten most important papers of the last twenty-five years. In reaction, economic historian Benjamin Guilbert asked me “what are the other nine”? As I started thinking about the best articles, I realized that such a list is highly subjective to my field of research (historical demography, industrial revolution, great divergence debate, colonial institutions, pre-industrial Canada, living standards measurement) or some of my personal interests (slavery and the great depression). So, I will propose a list of ten papers/works that need to be read (in my opinion) by anyone interested in economic history. I will divide this post in two parts, one will be published today, the other will come out tomorrow. Higgs, Robert. “Wartime Prosperity? A Reassessment of the US Economy in the 1940s.” Journal of Economic History 52, no. 01 (1992): 41-60. Higgs’s article (since republished and expanded in a book and in follow-ups like this Independent Review article) is not only an important reconsideration of the issue of World War II as a causal factor in ending the Great Depression, it is also an efficient primer into national accounting. In essence, Higgs argues that the war never boosted the economy. Like Vedder and Gallaway, he argues that deflators are unreliable as a result of price controls. However, he extends that argument to the issue of measuring GDP. In wartime, ressources are directed, not allocated by exchange. Since GDP is a measure of value added in exchanges, the wartime direction of resources does not tell us anything about real production. It tells us only something about the government values. As a result, Higgs follows the propositions of Simon Kuznets to measure the “peacetime concept” of GDP and finds that the prosperity is overblown. There have been a few scholars who expanded on Higgs (notably here), but the issues underlined by Higgs could very well apply to many other topics. Every year, I read this paper at least once. Each time, I discover a pearl that allows me to expand my research on other topics. Allen, Robert C. The British industrial revolution in global perspective. Cambridge: Cambridge University Press, 2009. I know I said that Allen’s article in Explorations was one of the best, but Allen produces a lot of fascinating stuff. All of it is generally a different component of a “macro” history. That’s why I recommend going to the book (and then go to the article depending on what you need). The three things that influenced me considerably in my own work were a) the use of welfare ratios, b) the measurement of agricultural productivity and c) the HWE argument. I have spent some time on items A and C (here and here). However, B) is an important topic. Allen measured agricultural productivity in England using population levels, prices and wages to proxy consumption in a demand model and extract output from there (see his 2000 EREH paper here). As a result, Allen managed to compare agricultural productivity over time and space. This was a great innovation and it is a tool that I am looking to important for other countries – notably Canada and the US. His model gives us the long-term evolution of productivity with some frequency. In combination with a conjonctural estimate of growth and incomes or an output-based model, this would allow the reconstruction (if the series match) of a more-or-less high frequency dataset of GDP (from the perspective of an economic historian, annual GDP going back into the 17th century is high-frequency). Anyone interested in doing the “dirty work” of collecting data, this is the way to go. Broadberry, Stephen, Bruce MS Campbell, Alexander Klein, Mark Overton, and Bas Van Leeuwen. British economic growth, 1270–1870. Cambridge University Press, 2015. On this one, I am pretty biased. This is because Broadberry (one of the authors) was my dissertation supervisor (and a pretty great one to boot). Nonetheless, Broadberry et al. work greatly influenced my Cornucopian outlook on the world. Early in my intellectual development, I was introduced to Julian Simon’s work (see the best of his work here and here and Ester Boserup whose argument is similar but more complex) on environmental trends. While Simon has generally been depicted as arguing against declining environmental indicators, his viewpoint was much broader. In essence, his argument was the counter-argument to the Malthusian worldview. Basically, Malthusian pressures caused by large populations which push us further down the curve of marginally declining returns have their countereffects. Indeed, more people means more ideas and ideas are non-rival inputs (i.e. teaching you to fish won’t make me unlearn how to fish). In essence, rising populations are no problems (under given conditions) since they can generate a Schumpeterian countereffect (more ideas) and a Smithian countereffect (size of market offsets). In their work, Broadberry et al. basically confirm a view cemented over the last few decades that England had escaped the Malthusian trap before the Industrial Revolution (see Crafts and Mills here and Nicolinni here). They did that by recreating the GDP of Britain from 1270 to 1870. They found that GDP per capita increased while population increased steadily which is a strong piece of evidence. In their book, Broadberry et al. actually discuss this implication and they formulate the Smithian countereffect as a strong force that did offset the Malthusian pressures. Broadberry and al. should stand in everyone’s library as the best guidebook in recreating long-term historical series in order to answer the “big questions” (they also contribute to the Industrious Revolution argument among many other things). Chilosi, David, Tommy E. Murphy, Roman Studer, and A. Coşkun Tunçer. “Europe’s many integrations: Geography and grain markets, 1620–1913.” Explorations in Economic History 50, no. 1 (2013): 46-68. Although it isn’t tremendously cited yet, this is one of the best article I have read (and which is also recounted in Roman Studer’s Great Divergence Reconsidered). This is because the paper is one of the first to care about market integration on a “local” scale. Most studies of market integration consider long-distance trade for grains and they generally start with the late 19th century which is known as the first wave of globalisation. However, from an economic historian perspective, this is basically studying things once the ball had already started rolling. Market integration is particularly interesting because it is related to demographic outcomes. Isolated markets are vulnerable to supply shocks. However, with trade it is possible to minimize shocks by “pooling” resources. If village A has a crop failure, prices will rise inciting village B where there was an abundant crop to sell wheat to village A. In the end, prices in village A will drop (causing fewer deaths from starvation) and increase in village B. 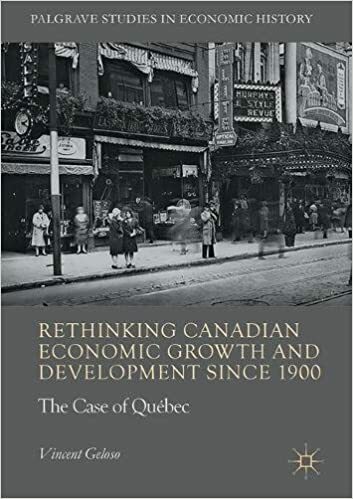 This means that prices move in a smoother fashion because there are no localized shocks (see the work of my friend Pierre Desrochers who argues that small local markets were associated for most of history with high mortality risks). In their work, Chilosi et al. decide to consider the integration of markets between villages A and B rather than between country A and B. Basically, what they wonder is when geographically close areas became more integrated (i.e. when did Paris and Bordeaux become part of the same national market?). They found that most of Europe tended to be a series of small regions that were more or less disconnected from one another. However, over time, these regions started to expand and integrate so that prices started moving more harmoniously. This is an important development that took place well before the late 19th century. In a way, the ball of market integration started rolling in the 17th century. Put differently, before globalization, there was regionalization. The next step to expand on that paper would be to find demographic data for one of the areas documented by Chilosi et al. and see if increased integration caused declines in mortality as markets started operating more harmoniously. Olmstead, Alan L., and Paul W. Rhode. Creating Abundance. Cambridge Books (2008). This book has influenced me tremendously. Olmstead and Rhode contribute to many literatures simultaneously. First of all, they show that most of the increased in cotton productivity in the United States during the antebellum era came from crop improvements. Secondly, they show that these improvements occured with very lax patents systems. Thirdly, they show how crucial biological innovations were in determining agricultural productivity in the United States (see their paper on wheat here and their paper on induced innovation). On top of being simply a fascinating way of doing agricultural history (by the way, most economic history before 1900 will generally tend to be closely related to agricultural history), it forces many other scholars to reflect on their own work. For example, the rising cotton productivity explains the rising output of slavery in the antebellum south. Thus, there is no need to rely on some on the fanciful claims that slaveowners became more efficient at whipping cotton out of slaves (*cough* Ed Baptist *cough*). They also show that Boldrine and Levine are broadly correct in stating that most types of technological innovations do not require extreme patents like those we know today (and which are designed to restrict competition rather than promote competition). In fact, their work on biological innovations have pretty much started a small revolution in that regard (see one interesting example here in French). Finally, they also invalidated (convincingly in my opinion) the induced innovation model that generally argued that technologies are developped merely to ease scarcities of factors. While theoretically plausible, this simplified model did not fit many features of American economic history. Their story of biological innovations is an efficient remplacement. After a drubbing in the 1964 election, the party was able to set the terms of battle as America’s cities burned and the war in Vietnam headlined the evening news. In Ronald Reagan, the party’s reinvigoration was complete. His ability to communicate the party’s convictions and win elections suggested that Republican dominance of the White House might be sustained. It wasn’t. But even in the aftermath of defeat, in 1992, the party could take solace in Bill Clinton’s declaration that the era of Big Government was over. Perhaps the party had truly won the battle of ideas. But now the Republican Party has come full circle, and is again in crisis, having suffered defeat in the popular vote in five of the past six presidential elections. As was the case in 1962, there is no end to prescriptions for saving the GOP. To the accumulating heap of advice, I add this to the pile: Consider path dependency before formulating policy, conducting politics, and making appeals to voters. California’s Republican Governor Arnold Schwarzenegger famously promised to “blow up” the boxes of a bloated government in Sacramento—and then not much happened. At the national level, Republicans have been promising to repeal, dissolve, and defund laws, agencies, and programs since the 1930s, with little overall success, notwithstanding the odd victory here and there. The yearning to begin anew may be alluring, but there ain’t no going back. In rhetoric, Republican Party leaders still call for ratcheting back Leviathan, at least on the economic front. Yet, just as Governor Schwarzenegger did, they falter when it comes to actually blowing up the boxes of government. Republicans make poor revolutionaries. At the same time, they seem to have eschewed democratic politics as a means to their ends. Perhaps, in their view, playing politics would constitute an exercise in making “socialism” more efficient, in which they allegedly hold no interest. But by failing to reconcile ideas and ideals with path dependent history, the party is becoming ever more out of touch. Gaining an appreciation for path dependency may help the party connect with voters: a prerequisite to articulating effectively a vision of a political economy based on individual liberty, limited government, and market capitalism. After all, if no one is listening, it doesn’t really matter what you might be saying. Another problem: It’s rather difficult to figure out what the Republican Party stands for these days. Since the 1980s, its calls for racheting back Big Government have been long on promising a return to some ideal state and short on mapping a pragmatic path toward reining in the actually existing state. Interestingly, the rhetoric heats up when the party is out of power, casting doubt on the sincerity of those spouting it. When they have occupied the Oval Office, Republicans have had no less a penchant increasing the size and scope of government than the Democrats they accuse of being enthusiasts for socialism. The Bush administration used the crisis of 9/11 to increase government surveillance of private citizens and expand Washington’s interventions overseas. The crisis of the Great Recession served as occasion to bail out Wall Street. Indeed, in economic terms, Republicanism has come full circle, not from the free soil, free labor, and free men days of Lincoln, but from the Gilded Age. Where the rubber hits the road, that is, in terms of implementation, there is little evidence that the Republican Party holds individual liberty, limited government, and market capitalism as core convictions. But let’s stipulate, for the sake of this post, that Republicanism at its core remains grounded in the two main convictions identified by Mr. Ways. So how might a consideration of path dependency help to right the listing Republican ship? In a previous post, I applauded Daron Acemoglu and James A. Robinson for their effective deployment of path dependency in Why Nations Fail: The Origins of Power, Prosperity, and Poverty. They showed that “critical junctures” that disrupt the existing political and economic balance in society launch nations down their respective dependent paths. And once embarked on a dependent path, the weight of history makes it extremely difficult for a nation to change course. In America, as Robert Higgs has shown, two world wars, with a great depression sandwiched in between, constituted the critical junctures—or critical episodes, as he calls them—that resulted in an immense expansion in the scale and scope of the U.S. government. With the passage of time, the American people have accepted most aspects of Leviathan—especially when it comes to social insurance—as the norm. In Higg’s view, there is no going back because the federal government’s responses to successive crises engendered a sea shift in ideology among the people. Writing in 1987, Higgs doubted that the Reagan Revolution would live up to its billing. And he was spot on. For an intraparty conversation on the appropriate scale and scope of government to be productive and persuasive, it ought to begin with coming to terms with the state as it “really is” and reflecting on how it came to be (including the many contributions of all postwar Republican administrations to expanding said state). Take Social Security. Opposed on the Right, it was passed in a form that didn’t please the Left. But over the years, Social Security expanded in scope and size under Democratic and Republican administrations alike. It’s now been around for more than 75 years. Talk of entitlement reform as Baby Boomers age, at least in terms of assessing, funding, and perhaps adjusting future liabilities? Absolutely. But apocalyptic talk of Social Security’s impending bankruptcy as prelude to overhauling this mainstay of middle-class entitlements surely has lost more votes than it has gained. And to what end? Leaving aside the question of individual liberty, replacing mandated contributions to a government plan with mandated contributions to private ones introduces risk for which future retirees seemingly have no appetite. Path dependency does not mean that all doors to reform are shut for all time. But Republicans have little hope of blowing up this box. So, what to do? First, acquire a deep appreciation for the path dependencies embedded in America’s laws, regulations, policies, and political institutions. Use the exercise to identify potentially winning issues that align with core convictions, as stipulated. Then embrace the democratic process as a platform from which to win hearts and minds and accomplish realistic goals. A fascinating blog post on Indian domestic politics and foreign policy by a Ph.D. student living in New Delhi and studying at Jawaharlal Nehru University. Alex Warren, a journalist with extensive experience in the Middle East, writes about Libya’s decentralization. “The Current Models Have Nothing to Say.” That is economist Robert Higgs’s analysis of modern, orthodox economics. Might regionalism help solve Central America’s woes? Be sure to check out the rest of the blog, by Seth Kaplan, too. Co-editor Fred Foldvary, writing in the Progress Report, explains that value is subjective. This is an important concept when it comes to understanding economics.